Malloy Esposito Crematory & Funeral Home, on Cleveland's West Side, has been helping Cleveland residents save on final arrangements by providing affordable cremations & burials. For 36 years, area families, and veterans have come to us for affordable, sensitive and simple direct cremations and burials. 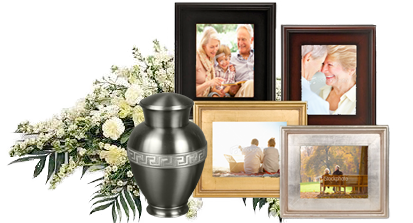 We offer Cleveland residents an affordable alternative to expensive traditional funerals by providing direct low cost cremations and burials. 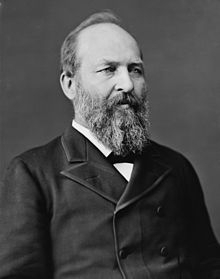 September 24, 1881- President James Abram Garfield has just passed away, after suffering 80 long miserable days from a gunshot wound. He was shot on July 2nd by a man named Charles Guiteau, in the train station in Washington, D.C. Mr. Guiteau shot the President because he wanted to become an ambassador to France or Austria, and didn't get the job. The wound the President received from the shot got infected and grew worse every day. Unfortunately today his life ended. It is sad, that because of the timing of his death we will never be sure of what kind of president Garfield would have been. President Garfield was born on November 19, 1831. His father died when he was young. The family couldn't move from their log cabin in the Western Reserve, but that didn't stop him from getting an education, and eventually attending Hiram College and Williams College. Later on, Mr. James A. Garfield became President of Hiram College. In 1859, Garfield was elected as a Republican to the State Senate of Ohio; he was a strong supporter of the Union. Garfield then became a General during the Civil War. In 1863 he was elected in Congress, and served as a Congressman for seventeen years. In 1880, Garfield was nominated by the Republican Party to be President of the United States; Garfield won the election. Garfield left his home in Mentor, Ohio on February 28th, with almost everybody from Mentor and the neighboring towns coming to wish him good luck. He was inaugurated as President on March 4th, 1881. The nation celebrated with a big parade and festive parties in his honor. Unfortunately, today we are all shocked and sad because the President has died. Garfield's wife, mother, and children are mourning, along with the whole nation today. Mr. Chester Arthur will become the nation's new President. Garfield's murderer, Charles Guiteau, will be hanged for his crime. BRYANT, ELIZA (1827-13 May 1907) was the founder of the Cleveland Home For Aged Colored People (The ELIZA BRYANT CENTER) in 1897. It was the first nonreligious welfare institution supported by Cleveland's African American community and quickly became the most widely supported institution of the Black community. Eliza was born in North Carolina to Polly Simmons, a slave and her master. In 1848 Polly Simmons was freed and moved north with her family, purchasing a home in Cleveland,Ohio with funds from her master. Once in Cleveland, Eliza, like her mother, opened her home to newcomers until they found work and could support themselves. Around 1893 Eliza became aware of the need to care for aging AFRICAN AMERICANS left alone due to slavery. Denied admission to white homes for the aged, Eliza related their plight to her female church members. Aided by Sarah Green and Letithia Fleming, they tapped into the network of women in the churches and clubs of Cleveland. Their appeals for humane treatment won supporters as volunteers and as contributors. In January 1895 the board of trustees was selected with Emman Ransom as president over the all-female trustees. They met in each other's homes to make plans for the future. Incorporated on 1 Sept. 1896, the Cleveland Home for Aged Colored People (The ELIZA BRYANT CENTER) opened on 11 Aug. 1897 at 284 Giddings (East 71st) Street. In 1960, under reorganization, the institution was renamed the ELIZA BRYANT CENTER to honor its founder. Bryant married and had several children. She is buried in WOODLAND CEMETERY in Cleveland Ohio. John William Heisman, all-around authority on athletics and former football coach, died yesterday in his home at 28 East Seventieth Street after a brief illness. He was 66 years old. For the last six years he had been physical director of the Downtown Athletic Club. Mr. Heisman for more than thirty-five years was football coach at a number of leading colleges. 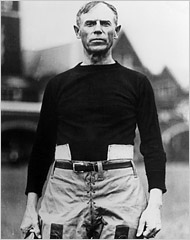 In 1923 and 1924 he was president of the American Football Coaches Association. He was the originator of the "Heisman shift" and was said to be the first to suggest the introduction of the forward pass into football. He was also the inventor of many methods used in modern football. From 1904 to 1920 he coached football, baseball and basketball at the Georgia Institute of Technology, where he developed the famous "Golden Tornado" teams. He began his coaching career in 1892 at Oberlin College. In 1893 he coached all sports at the University of Akron. From 1895 to 1900 he coached football and baseball at Alabama Polytechnic Institute, and from 1900 to 1904 was coach at Clemson College. In 1908 he was director of athletics at the Atlanta Athletic Club. From 1910 to 1914 he was president of the Atlanta Baseball Association. In 1920 he coached football at the University of Pennsylvania and in 1923 filled the same position at Washington and Jefferson College. From 1924 to 1927 he was head football coach and director of athletics at Rice Institute, Houston, Texas. In 1888 he was a member of the Brown football team, and in 1889 of the Pennsylvania varsity football eleven. He was born in Cleveland, the son of John M. and Sarah Lehr Heisman. He was educated at Brown University and the University of Pennsylvania, where he received his LL. B. degree in 1892. Mr. Heisman was the author of "Principles of Football." As physical director of the Downtown Athletic Club, he lectured there last year at weekly football forums. He predicted then that there would be less fumbling of lateral passes this year. His widow, Mrs. Edith Maora Cole Heisman, survives. 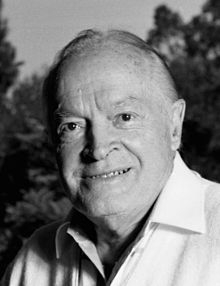 Burial will be in Rhinelander, Wis.
LOS ANGELES – Bob Hope, ski-nosed master of the one-liner and favorite comedian of servicemen and presidents alike, has died, less than two months after turning 100. Hope died late Sunday of pneumonia, his longtime publicist Ward Grant said Monday. Hope's family was at his bedside at his home in Toluca Lake. The nation's most-honored comedian, a millionaire many times over, was a star in every category open to him — vaudeville, radio, television and film, most notably a string of "Road" movies with longtime friend Bing Crosby. For decades, he took his show on the road to bases around the world, boosting the morale of servicemen from World War II to the Gulf War. He perfected the one-liner, peppering audiences with a fusillade of brief, topical gags. "I bumped into Gerald Ford the other day. I said, 'Pardon me.' He said, 'I don't do that anymore.'" "I want to tell you, I was built like an athlete once – big chest, hard stomach. Of course, that's all behind me now." When Hope went into one of his monologues, it was almost as though the world was conditioned to respond. No matter that the joke was old or flat; he was Bob Hope and he got laughs. "Audiences are my best friends," he liked to say. "You never tire of talking with your best friends." He was admired by his peers, and generations of younger comedians. Woody Allen called Hope "the most influential comedian for me." Hope earned a fortune, gave lavishly to charity and was showered with awards, so many that he had to rent a warehouse to store them. Through he said he was afraid of flying, Hope traveled countless miles to entertain servicemen in field hospitals, jungles and aircraft carriers from France to Berlin to Vietnam to the Persian Gulf. His Christmas tours became tradition. He headlined in so many war zones that he had a standard joke for the times he was interrupted by gunfire: "I wonder which one of my pictures they saw?" So often was Hope away entertaining, and so little did he see his wife, Dolores, and their four adopted children, that he once remarked, "When I get home these days, my kids think I've been booked on a personal appearance tour." Hope had a reputation as an ad-libber, but he kept a stable of writers and had filing cabinets full of jokes. He never let a good joke die – if it got a laugh in Vietnam, it would get a laugh in Saudi Arabia. On his 100th birthday, he was too frail to take part in public celebrations, but was said to be alert and happy — and overwhelmed by the outpouring of affection. The fabled intersection of Hollywood Boulevard and Vine Street was renamed Bob Hope Square, and President Bush established the Bob Hope American Patriot Award. "He can't believe that this is happening and that he's made it to his Big 100," son Kelly Hope said at the time. He was born Leslie Townes Hope on May 29, 1903, in Eltham, England, the fifth of seven sons of a British stonemason and a Welsh singer of light opera. The Hopes emigrated to the United States when he was 4 and settled in Cleveland. They found themselves in the backwash of the 1907 depression. The boy helped out by selling newspapers and working in a shoe store, a drug store and a meat market. He also worked as a caddy and developed a lifelong fondness for golf. A highly competitive golfer, he later shot in the 70s and sponsored the Bob Hope Golf Classic, one of the nation's biggest tournaments.